DOUBLE YOUR LABEL CAPACITY : The DYMO LabelWriter 450 Twin Turbo label printer holds two label rolls and lets you get more labeling and mailing done in less time. Print 2 different sizes without swapping label rolls, or print large batches faster by loading two rolls of the same label in the DYMO LabelWriter 450 Twin Turbo which automatically switches to the second roll when the first runs out. PRINT UP TO 71 LABELS PER MINUTE *. Say goodbye to sheet-label hassles, and expensive ink and toner. And use the included software to print labels directly from text in popular software programs, verify US addresses and ZIP+4 codes, and much more. 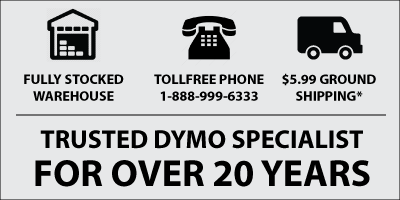 - The Dymo LabelWriter 450 Twin Turbo Label Printer is compatible with all Dymo LabelWriter Labels with the exception of the Dymo 4XL extra large labels. - It is 100% compatible with Dymo Stamps and all other Dymo Postage Labels. Every office must have on of these incredible Dymo Labelwriter 450 Twin Turbo Printers. My Receptionist loves it!! It is easy to use and very dependable. It was so great we ended up buying another printer for our office. Dynamic tool for making customized labels and have a professional look. Had to get it when I moved to a new office that did not have one. Couldn't work without it! These printers work great in our office for quick and speedy address labels and file folder labels. No need wasting time with large printers and sheets of labels that get stuck. This product saves so much time with its twin printers! I can keep stamps loaded at all times and print labels for shipping, binders, name tags, drawer labels, shelf labels, and so much more. Small enough to fit on my desk without being in the way of everyday work life. The stamps are so easy to use and refilling the currency is done in seconds. No more trips to the post office! Versatility, ease of use, time saving - I could not be happier with this product!